Creative Thinking. Real-World Problem Solving. Smithson Mills has successfully written numerous grant proposals to federal, state and private foundation funding sources, raising more than $7 million for projects since 2002. Clients and associates attest to the quality of his writing and program funding strategies. Mills teaches grant writing workshops tailored for specific needs of organizations and communities. Third party assessment is becoming increasingly important for successful grant-funded programs. As director for the Richard L. Hoffman Center for Assessment and Research Alliances at Mars Hill College from 2005 to 2009, Mills developed significant experience evaluating economic and social measures of program impacts. Through formatting and administering survey instruments and analyzing results using SPSS software and other statistical programs, Mills provides accurate and valuable quantitative program assessment services. 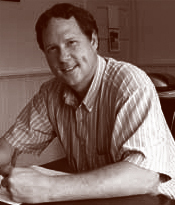 Smithson Mills is an accomplished advocate and researcher for agricultural and rural economic development projects. With a wide variety of skills in project management, business formation, program assessment and evaluation, grant writing, and international trade, Smithson Mills works closely with community nonprofits, businesses and government organizations. Smithson Mills has served as lead manager for economic development projects impacting food entrepreneurship and farm-based production. By consulting with farm-based producer groups on best practices for marketing and management of agricultural enterprises, Mills has influenced the success of several projects outlined in the Research section of this site. From 2007 to 2011, Mills led the successful development of Foothills Pilot Plant, a small-scale poultry and rabbit processing facility serving independent producers in the Southern Appalachian Region. Mills now assists community organizations in replicating this effort and establishing local USDA and FDA inspected food processing facilities throughout the country. Mills served as lead project developer for Blue Ridge Food Ventures, the largest shared-use food processing center in the Southeast, and one of the most successful of its kind in the nation. Mills assists local governments and nonprofits in executing comprehensive feasibility studies to determine the viability of rural economic development strategies. 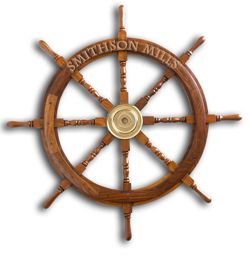 Smithson Mills has over 12 years of progressively responsible international work, with a strong understanding of trade procedures and trade programs. He has more than 4 years' experience living and working in Asia and is proficient in Mandarin Chinese.